Shurat HaDin is at the forefront of fighting terrorism and safeguarding Jewish rights worldwide. We are dedicated to the protection of the State of Israel. 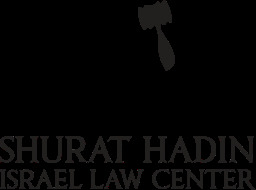 From defending against lawfare suits, fighting academic and economic boycotts and challenging those who seek to delegitimize the Jewish State, Shurat HaDin is utilizing court systems around the world to go on the legal offensive against Israel’s enemies.